With help from the Weight Center, Steve lost 144lbs, is off his medications and making the most out of each and every day. Register for free orthopedic educational programs on joint, shoulder and back pain. 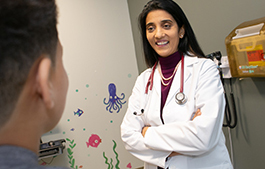 Dr. Anupreet Oberoi welcomes patients of all ages to East Marlborough Primary Care. UMass Memorial Orthopedics at Westborough is Growing! 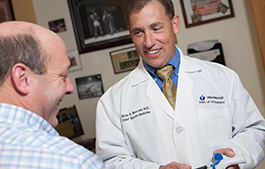 Offering expanded, high-quality specialty orthopedic services for adults and children in a convenient, easily accessible location. What are the most common injuries in high school athletes? 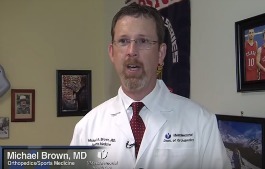 Michael Brown, MD, discusses typical injuries in fall sports, and expectations in injury rehabilitation. 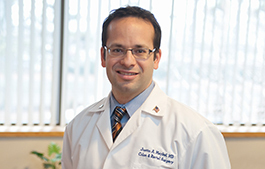 Hear from Justin Maykel, MD, chief, Colon and Rectal Surgery, about the latest treatment options available for treating colorectal cancer. 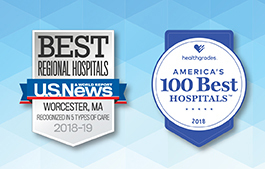 Proud to be recognized by U.S. News and World Reports as the fifth best hospital in the state and Healthgrades for clinical excellence and specialty care. Breast-feeding offers many benefits for your baby (and you!) including skin-to-skin contact for better bonding. This prenatal breast-feeding class will help you get off to the best start. The CPR and Safety class includes information and materials for parents and caregivers on safety topics for newborns, and provides hands-on practice for infant CPR and choking. For those who have already experienced the birthing process, this class will offer a review of positions for labor and birth, coping strategies and breathing techniques. Prepared Childbirth is an essential course for pregnant women and their birth partners to develop an understanding of the labor and birth process, and begin practicing coping techniques. Help prepare your three- to eight-year-old child to become a big brother or sister. Child must be accompanied by an adult. 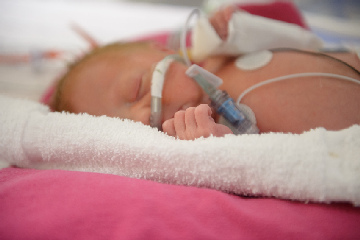 Includes hands-on demonstration of how to safely hold and play with a new baby.